Anyone who has lived in a house with a leaky roof, monitoring buckets, and the color change on their ceiling can confirm a good roof is a cornerstone to happy living. With a bad foundation, an old and deteriorating roof is a devastating and critical problem that could get the dominoes falling on the inevitable destruction of house and home. It can also take a toll on the family living inside. Some people look at a leaky roof as a minor inconvenience, something that a few pots, pans, and towels can fix. However, much like medicines that treat the symptoms and do not fix the root of the problems can lead to false fixes. A leaky roof can lead to mold and mildew. There are signs of these problems, but can also be odorless and naked to the human eye. Mold can lead to several problems including respiratory issues, illness, and even death. A consistent leaky roof can easily lead to an increase in mold and spores throughout a house. Water can also lead to rot. The rot can start in a roof which is dangerous enough, but a leaky roof can lead to water buildup in the walls and floor, as well as deep within the foundation. A leaky roof can easily lead to a family walking on thin ice where the slightest step could lead to a collapsing roof or floor. The best way to guarantee your family’s safety is to hire some Bixby roofers. A homeowner should look for a company that wants to give back to their community and stress safety within the home. Roofscapes Exteriors showcases their recent work on residential and commercial buildings in their portfolio in order to see what can be accomplished. If you’re seeking out roof repairs or renovation, customer reviews are also a great area to go to see the variety of comments and recommendations. Construction, especially on homes, should have heart. Home is not only where the heart is, but it’s where the heart goes. Nothing seems to bring tears to the eyes of people like seeing someone who desperately needs a home or roof, but due to circumstances is not able to afford it. A roofing company should give back to their community by supplying the homes with stable, durable, and long lasting roofing systems. If you’re in the need of a new roofing system or repairs, give Roofscapes Exteriors a call! 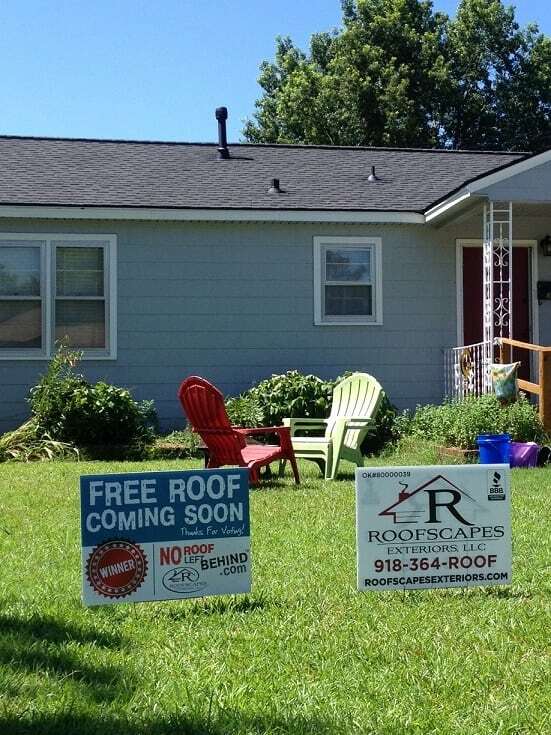 Connect with Bixby roofers on Facebook, Twitter, Instagram, and Pinterest for home ideas and other roofing services! You can also check out Houzz for recent projects, reviews, and more.